Roman Blinds are material blinds that fold up in panels, they are available in Sheerweave, Light Filtering, and Blockout Materials. Sheerweave Roman Blinds are a great option for TV rooms, lounges. They’re specifically advantageous for very sunny rooms of the home and for bedrooms where privacy is a must during the day. 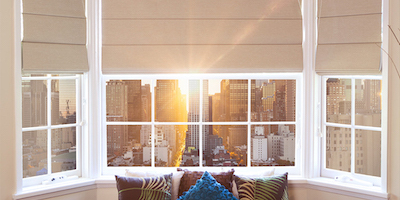 In a wide range of colors and textures, Sheerweave Roman Blinds are wipeable, durable, and practical solutions to excess sun or to maintain privacy. Light Filtering Roman Blinds are a beautiful addition to lounges and dining room. 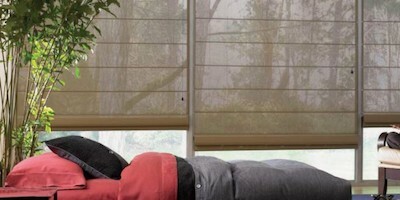 They provide privacy and character without the messy bulkiness of curtains. They are available in almost endless color and fabric options and make a statement with their modern panels. Blockout Roman Blinds are ideal for bedrooms. The material itself blocks out 100% of the light. 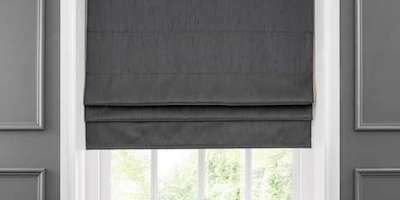 Blockout Roman Blinds are available with extras such as tassels, eyelets, and scallops as well. Our new Designer Range of Roman Blinds allow the customer to choose bright, bold, exciting prints which make a statement on any window opening.